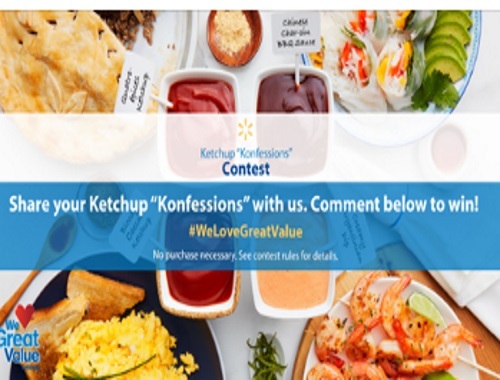 Walmart has a Great Value Ketchup Konfessions Contest on now! Enter to win a $100 Walmart gift card by entering at the link below. There are 5 prizes of $100 gift cards up for grabs! To enter, comment on the linked post below what your favourite way to eat ketchup is.